With so many incredible Disney films over the years, it can be hard to choose a favorite. Would you go for a Golden Age film like Snow White and the Seven Dwarfs or a Disney Renaissance flick like Hercules? 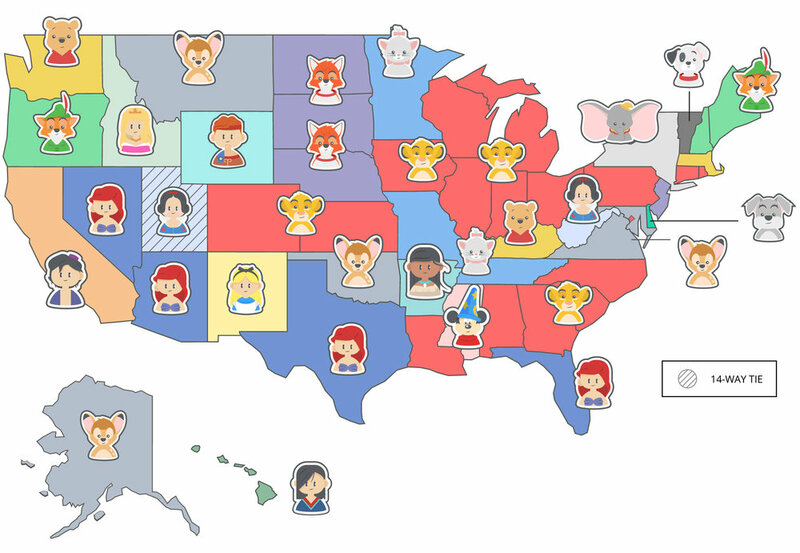 While we might not know your personal Disney favorite (or maybe we do—we’re pretty mysterious), the team of analysts at CableTV.com discovered which Disney classic each US state prefers above the rest. Check it out! We love animals—38 states favored a film with an animal protagonist. With the support of 17 states, The Lion King (1994) is America’s favorite Disney classic, hands down. Dumbo (1941) is beloved by New York, which was known for the elephant walk through Manhattan, a tradition that lasted over thirty years. While the event garnered mixed feelings from residents and tourists, it certainly left its mark in NYC. Nearly 71 percent of Vermont households own a pet, so it makes sense that Vermont loves 101 Dalmatians (1961). But funnily enough, Vermont has more cat-owning households than dog-owning households. With the most wilderness of any state, Alaska’s respect for wildlife reflects in its favorite movie Bambi (1942). The trippy Alice in Wonderland (1951) is a big deal in New Mexico, which happens to be the only state where you can legally grow magic mushrooms (psilocybin-containing mushrooms). Over 57% of Hawaiian residents identify as Asian American, so it’s no surprise that Mulan (1998) is a favorite for the Aloha State. The Beehive State, with the youngest average population in the US, had a fourteen-way tie for its top Disney classic. No other state but Utah had a tie for its favorite movie. Canada loves Disney movies too! Bambi (1942), Beauty and the Beast (1991), The Lion King(1994), and The Little Mermaid (1989) were among its top favorites. First, our team of analysts made a list of the twenty-five most popular Disney classic films. 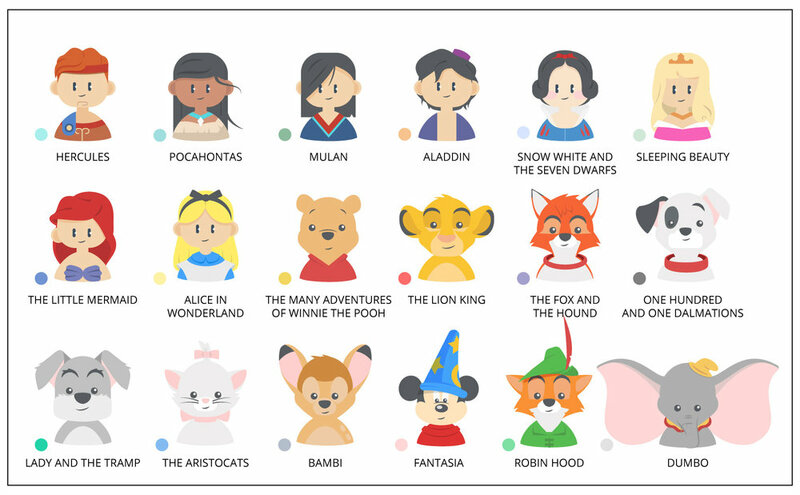 To do this, we cross-referenced all the Disney movies through the end of the Disney Renaissance (1999), starting with Snow White and the Seven Dwarfs. We used title familiarity, popularity, and cultural relevance within Disney theme parks to whittle it down to the top twenty-five. After settling on the twenty-five most popular titles, we used Google Trends data to discover which films US states and Canadian territories and provinces showed the most interest in over the past five years. How does your state’s favorite movie match up with yours? Is it from the same era or hardly related at all? Let us know in the comments below!